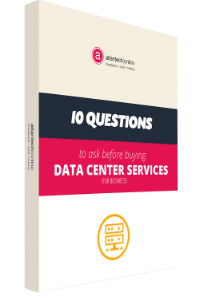 The role of data centers has rapidly evolved for the past decade or so. What started out as mere storage facilities for racks of servers and networking equipment are now providing full-scale interconnectivity with other networks, cloud services and disaster recovery. As a result, the digital economy has become dependent on data centers. They've become the Central Offices (the wire centers for the phone companies) of our times. With the Internet constantly evolving and increasing adoption of virtualization each year, organizations big or small need to find a colocation provider they can trust as a business partner. Next to superb service and unparalleled reliability, a data center’s location is of utmost importance when going through a colocation provider selection process. 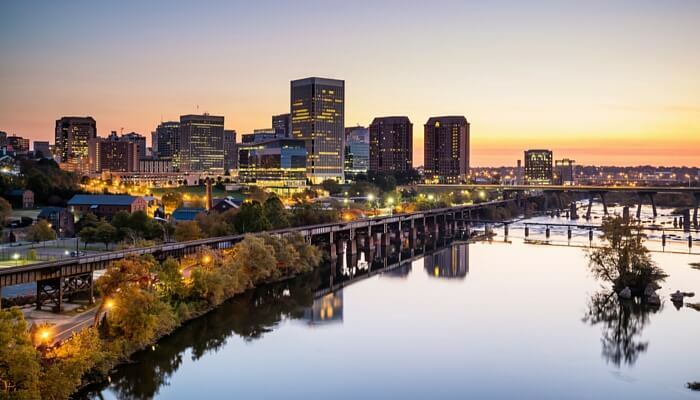 If you’ve been scouring the web for the best data center locations in the country, you’ve probably considered Northern Virginia. As of 2015, Northern Virginia is home to the largest data center market in the country and has outdone Tier 1 markets such as the New York City metropolitan area and Silicon Valley. According to JLL’s annual Data Center Outlook report last year, Northern Virginia led the U.S. in terms of data center demand—20 percent of the market share and 31.8 MW (megawatts) in enterprise demand YTD (year to date). Emergence of edge computing where data and its processing components are moving as close to user groups as possible. As a result, migration of network traffic from tier 1 cities such as New York and San Francisco to markets closer to the users is becoming a trend. Equinix, one of the largest colocation data center providers in the world , maintains Virginia data center space in Ashburn and Vienna. These colocation centers have connections to 200+ network service providers, 10 buildings, and roughly 478,000+ square feet of colocation space. They also provide access to one of the top three peering and exchange markets, including the largest peering exchange on the U.S. East Coast. By 2017, the company will be implementing redesigns in their data center infrastructures to improve energy efficiency while maintaining reliability. CoreSite has three data center facilities in Northern Virginia—one in Washington, D.C., and two in Reston—that account for over 412,000 square feet of colocation space. CoreSite’s clients are a diverse mix including organizations operating in finance, cloud computing, and government services. With CoreSite, customers have direct access to Any2Exchange, the second largest Internet exchange in the country and the largest Internet exchange on the West Coast. Digital Realty’s data centers in Virginia have access to over 1000 provider networks, multiple Internet Exchanges, Open-IX Peering Exchange, and Ethernet Exchange. Recently, this San-Francisco based colocation company acquired 125.9 acres of undeveloped land in Loudoun County for $43 million and plans to construct a 2-million-square-foot data center this year. Earlier last year, Digital Realty also completed its $1.89 billion acquisition of Telx, effectively doubling the size of its retail colocation business. There’s a solid reason why the folks at Facebook trust DuPont Fabros for their data center needs. With data center space in Ashburn, Bristow, and Reston, DuPont Fabros is one of the top colocation providers in Virginia that benefit from multiple major fiber carriers. Atlantech’s Rockville and Silver Spring data center spaces have 10,000 gross square feet of space and 130 cabinets each. The Rockville facility is ideally located for colocation deployment and interconnecting with major telecommunications networks. Businesses in the I-270 corridor region will find Atlantech’s Rockville colocation facility to be an excellent alternative to the expense and effort of building and operating their own data center facility. Atlantech provides enterprises with locations in Northern Virginia or the Baltimore metro area with an accessible and affordable option for a secondary or Business Continuity Disaster Recovery (BCDR) facility. When evaluating a colocation provider near or within Virginia, evaluate facilities that are close enough to afford convenient site visits. Afterward, explore the inner workings of each data center, including redundancy policies, hardware, software, and power supply. Whether you’re a cloud-based startup or running a large global enterprise, Atlantech has the right colocation, data center space, or cloud hosting for you. Talk to a colocation expert today to see if we're a good fit for your needs.